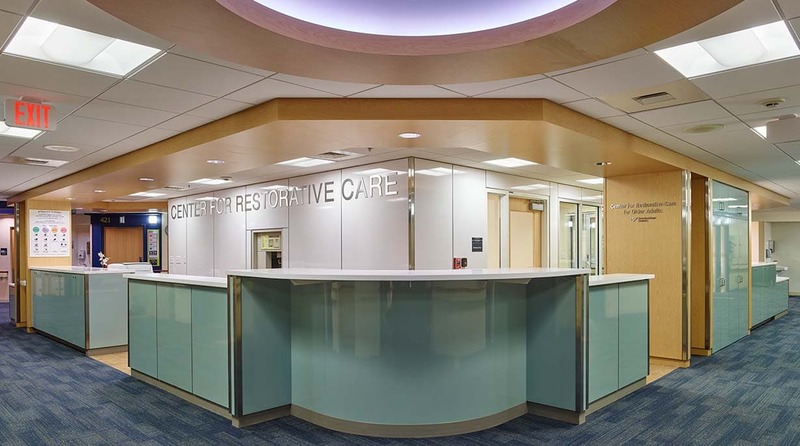 MGA&D complemented Yale New Haven Hospital’s highly ranked geriatric services with thoughtful interior design in renovating the restorative care unit. While mobility among the elderly population receives great attention, it is only one of the challenges. 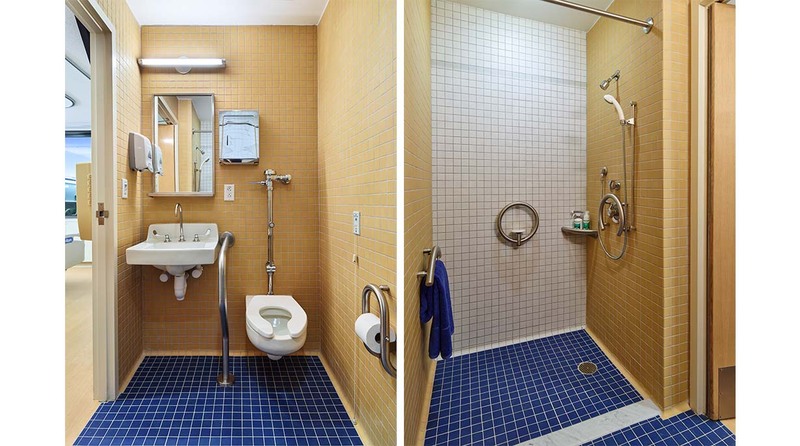 We have focused not only on physical measures but also on the perceptual environment by using visual contrast and graphic design to help people navigate. Research shows that people over the age of 65 need three times more contrast to be able to identify objects. 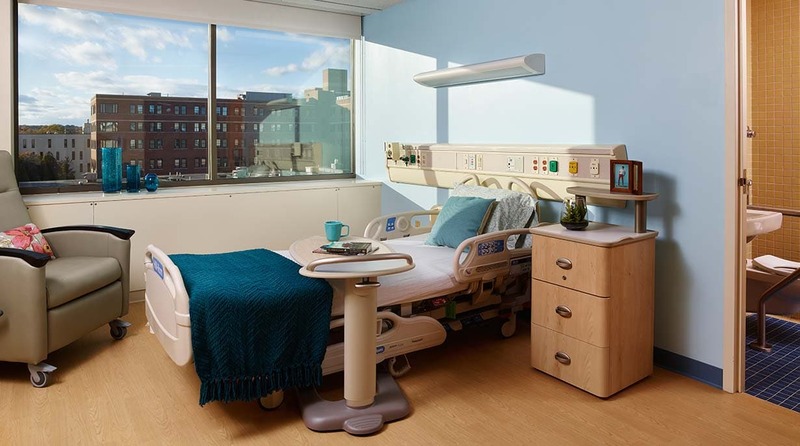 We selected the color palette and materials to enhance contrast, which both improves wayfinding and potential reduces patient falls. 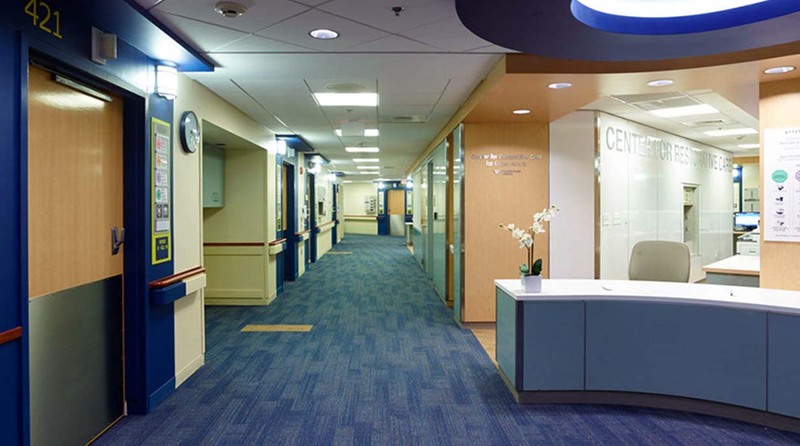 One of our breakthroughs is a patented patient room signage system. The easy-to-maintain design and means of communicating precautions promote environmental hygiene and help control the spread of infection.